You are here: Home / Pickleball Fun / Pickleball Passion Meter — What’s your Score? It’s your turn. 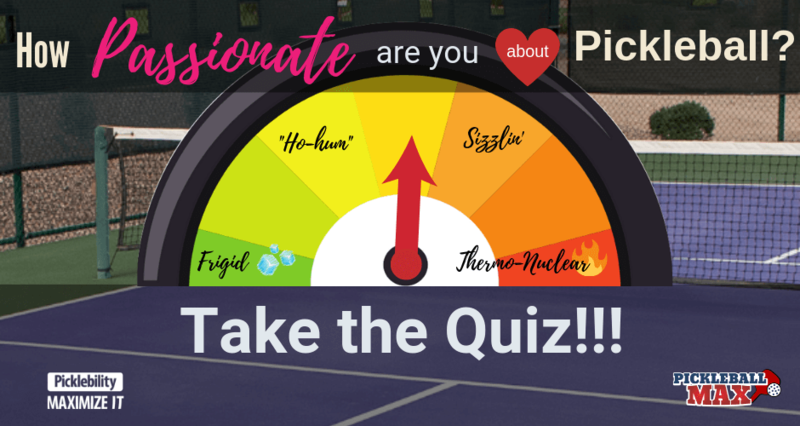 Take the following 10-question quiz and find out where you would be categorized on the Pickleball Passion Meter — and once completed, be sure to share the results on Facebook! 😉 It should be a lot of fun! See you on the courts!